Something of a Cult Malt, this is a cracking Highland Whisky, distilled in the shadow of Britain’s tallest mountain (after which it is also named). 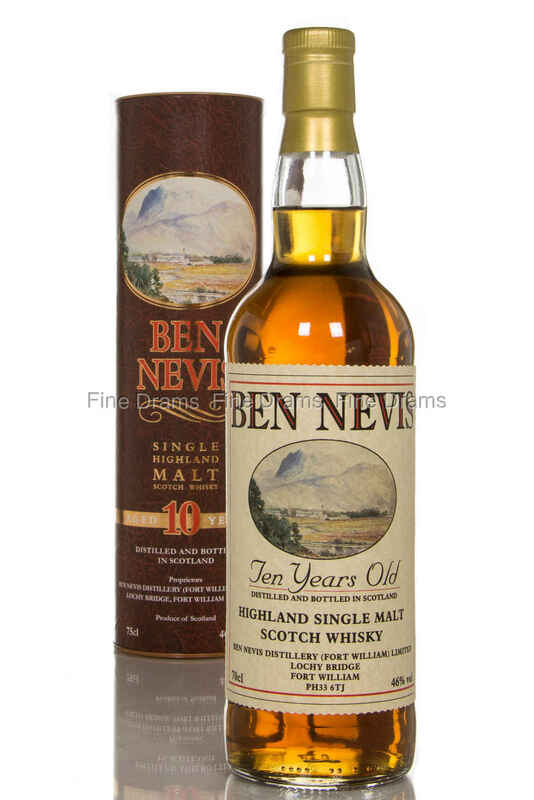 Ben Nevis 10 year old was first launched in 1991, but appears to have improved in recent years. Very much an old fashioned whisky, with its retro packaging, and supple bold flavours, Ben Nevis offers something different in the modern industry. The distillery continues to use wooden washbacks and brewer’s yeast – and Ben Nevis said to be the last distillery to still use this yeast strain. Perhaps these techniques are what make it something of a blast from the past. Aged for 10 years, this whisky has a luscious, chewy body, with a palate rich in tropical fruit, dried fruit, wood spice, coffee, dark chocolate, the faintest hint of peat. A robust and warming Highland dram, much improved by its 46% ABV and lack of chill filtration.